Most women love to go shopping, especially for new clothes. Am I right? But as a plus-size woman, I don’t. It’s mostly because of the chronic pain I live with every day. But even if my CRPS would disappear, shopping for clothes as a plus-size woman would not be fun or exciting. 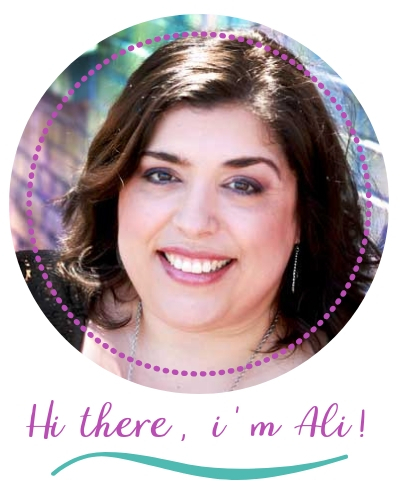 It is incredibly challenging to find stylish outfits that flatter my plus-size 5’2″ figure. This is a sponsored post with Affiliate Links, but all opinions are my own. Read our full disclosure policy. So, the idea of a styling service that drops off beautiful clothes at my door handpicked by a professional stylist each month sounds fantastic. Dia and Company provides this service and they specialize in providing flattering plus-size clothing for women. 1. DIA & CO. SPECIALIZES IN CLOTHING FOR PLUS-SIZES. I know that sounds like “Duh,” but it is key when comparing to the other popular styling services. Anytime a company narrows their focus, they have a more in-depth understanding of their customers’ needs. 2. DIA & CO. OFFERS A GREATER SELECTION OF PLUS-SIZE CLOTHING THAN OTHER STYLING SERVICES. That just makes sense, right? If you walk into a major department store, you find tons of clothing for the “Misses’ section and only a fraction of the women’s department (if any) is reserved for plus-size clothing. Whereas you walk into a store like Lane Bryant or The Avenue, 100% of the clothes are in the plus-size range. The same logic follows with styling services. 3. PLUS-SIZE WOMEN COME INDIFFERENT SHAPES AND DIA & CO. UNDERSTANDS THAT AND STYLES YOU ACCORDINGLY. If you carry most of your weight on your bottom half, then styles that accentuate your top half and “draw the eyes up” (as my mother always says), will be more flattering. Mid-drift showing tops and short shorts do not always flatter a plus-size figure. * Note: Some plus-size women like these styles and no one should feel limited by their size. * But I personally, I look for clothes that accentuate my positives and “camouflage” my not so positive areas. 4. THE “STYLE PROFILE”THAT YOU CREATE WITH DIA & CO. IS MORE DETAILED THAN OTHER STYLING SERVICES. Because of that and because of the expertise of my stylist, the subscription box that arrived had the styles of clothes that I had indicated were my preferences. 5. DIA & CO. STYLISTS HAVE MORE EXPERTISE IN PLUS-SIZE AND WILL DO A BETTER JOB OF CHOOSING CLOTHES FOR YOUR SUBSCRIPTION BOX. I found this to be true with the Style Box I received from Dia & Co. The other styling service I have tried, one that does not specialize in plus-size women, did not send me clothes that flattered plus-size. The stylist actually sent me a normal length in pants even though my style profile specified I am only 5’2″. And I also received a dress in that box that would look great on a taller woman, but actually swallowed me and looked frumpy. I liked every item in the box. I stated in my style profile that I do not like to wear florals, and there were no floral prints in my box (unlike in my other subscription styling service experience.) My stylist took into consideration where I live (it’s hot sometimes through September in Texas) and so the box I received in August had a pair of shorts. I am kind of in between sizes right now, so even though all of the clothes were the same size, not all of them fit well. But of course, it is a common thing to see slight differences in sizes among different brands of clothing. I found the items in my style box were all of good quality. I definitely think that if a subscription styling service is in your budget, that Dia & Co.’s Subscription Styling Service is well worth the money. SO, WOULD I RECOMMEND YOU TRY DIA & CO.’S STYLING SERVICE? DEFINITELY! P.S. 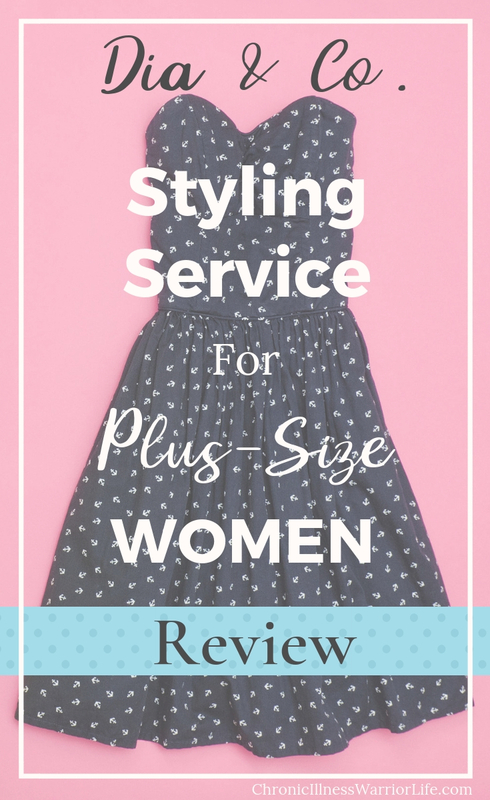 If you are curious about my experience with another popular styling service, you can read about it and watch the video on this post.